Conversations That Matter: Is God Good? Even When an Earthquake Hits Japan? Late last night I found out that an earthquake of the magnitude of 8.9 had hit the country of Japan. Tsunami's are expected to hit off the coast of L.A.- where I'm living - relatively soon. Information is still coming in on the death toll and those who could potentially die in what happens during the coarse of this day. The turn of events caused me to think about God's goodness. Why Japan? They're not as evil as Iran right? Why couldn't God have punished an evil nation if He was going to punish someone? Is this God's punishment? How can He be good and allow this to happen? I'm sure questions like these, and many more, are jumping to the forefront of people's minds just as they do in the event of any natural disaster. Last year I wrote a post on the problem of evil but never really went into specifics on how to apply the principles to life situations such as these. I'd like to take the opportunity now to briefly do this. In Luke 13 we read Christ's reaction to a similar event. " . . . do you suppose that those eighteen on whom the tower in Siloam fell and killed them, were worse culprits than all the men who live in Jerusalem? I tell you, no, but unless you repent, you will all likewise perish." The Bible makes it abundantly clear that all our sinners and deserving of hellfire. It is this concept that determines how we will react to natural disasters. If we really believe we are innately good and undeserving we will be in shock and horror - perhaps even moral outrage. On the other hand, if we accept the Bible's anthropology, that man is by nature a violator against the highest law of God and deserves nothing but condemnation, we will be grateful that the disaster wasn't worse and we will learn to both fear and love God. Fear Him because He judges and love Him because he withholds His judgment so frequently. James White in a radio broadcast recently made the point that if what astonishes an individual about Romans 9:13 (Jacob I loved, but Esau I hated) is the "Esau I hated," they're looking at things in immaturity blind to their own nature. What should surprise us is not "Esau I hated," that should be a given, but rather the "Jacob I loved." Many people refuse to worship "a God like that," but He is the one magnified in Scripture. Learning to love a deity that loves, is forbearing, and yet still upholds justice is our prerogative. Who are we to stand in judgment over Him? Once biblical anthropology is understand cultivating both a healthy fear and love, we must understand the person of Jesus. He was "bruised for our iniquities." If anyone has a right to complain about a tough life it would be He, yet for the "joy set before Him He endured the cross." He is a character that relates to what's happening in Japan and all over the world. His Spirit is in the midst of it divinely sparing the life of some. 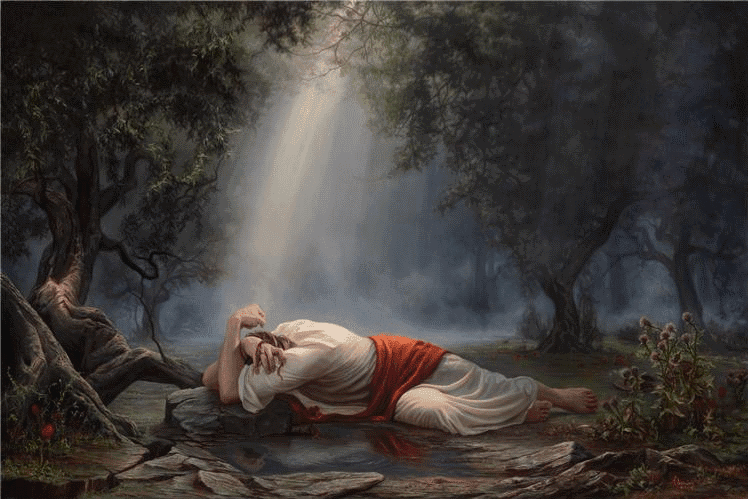 Those maimed and emotionally ruined have sympathy from the one who sweat drops of blood at Gethsemane. He is a "High priest who can sympathize with our infirmities." He is not overjoyed when seeing the effects of sin (which natural disasters our a result of), He weeps over such things like He did over Jerusalem and at the death of Lazarus. In addition to understanding the nature of man and the relatability of Christ, we must also understand the sovereign plan of God. We so often look at things from such a temporal vantage point we don't realize that life goes on forever. Think about this for a moment. No seriously, stop reading for 30 seconds and really ponder this thought. The earthquake had no affect on the death rate (stop). The people that died would have died anyway. Everyone dies eventually. Do we get outraged over this? Usually not, we in our foolishness get outraged when that time comes before we're ready for it. Yet God is the one that determines the end from the beginning. His plan is for every person to live forever either in heaven or hell. This goes back to Christ's words regarding the tower of Siloam. "Unless you repent you will all likewise perish." There is a death that lasts forever, a death everyone deserves, but in God's grace not all receive it. Christ's substitutionary death, taking our punishment for sin upon Himself, satisfies the just wrath of God. However, it does not guarantee a good life here on this earth. We are instead told that we will suffer for His namesake and take up our cross and follow Him. In conclusion, the earthquake has and will not kill anyone who was not going to die already. The real question is, where are they going? We must have compassion in the midst of this just as Christ did weeping over Jerusalem, yet we must keep in mind that our job is not to overcompensate for our "mean" God. Marvelous stories of His goodness will come flowing through the midst of this tempest. We are called to tell others about Him, so when a disaster hits our area the people we've had the privilege of having an impact on will be thankful despite circumstance. Just as Paul was content in all circumstances, so should we. Solomon said it was "better to be in the house of mourning" because there a man "considers his end." Turn this disaster into a witnessing opportunity- a testament to our just, but magnificently good, God.